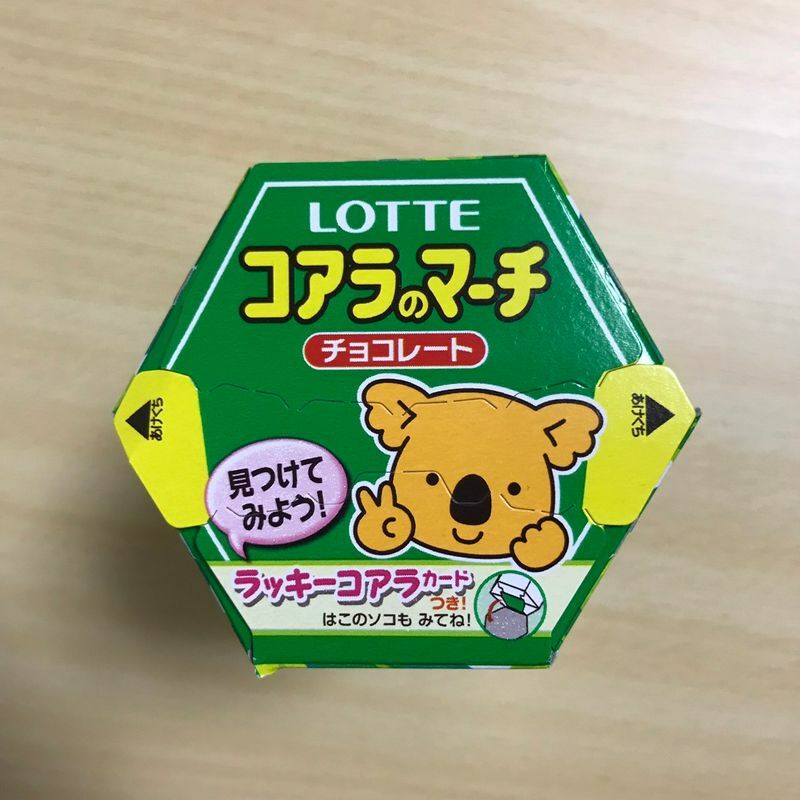 I'm back again and finally redeemed myself with the original Koala's March in Chocolate. 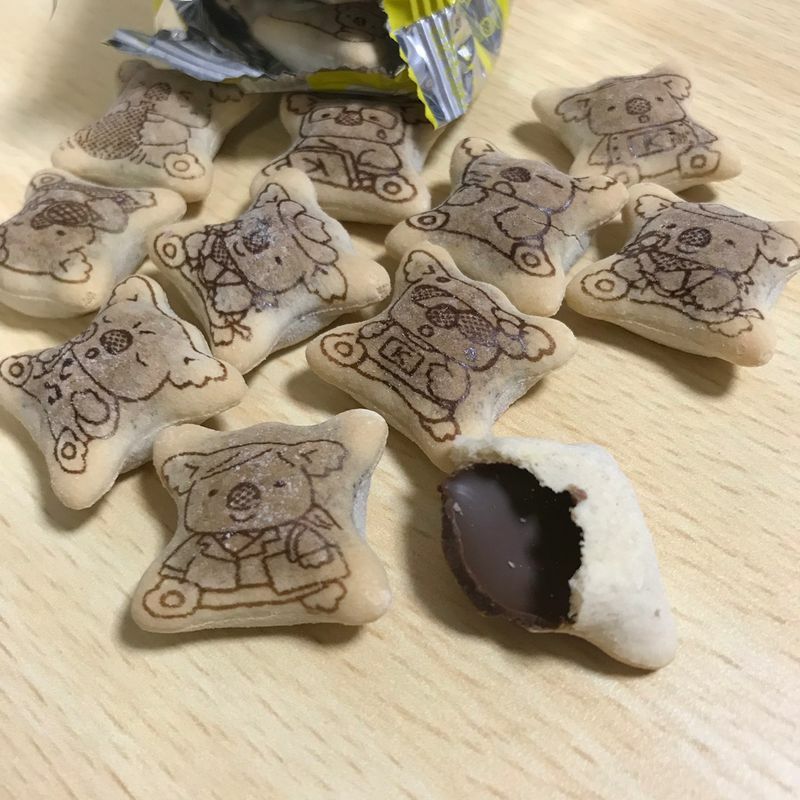 In my previous post about Black Koala's March - Cocoa & Milk, I was quite disappointed in one of my favorite childhood snacks. Happy to say that the original's always never disappoint. Once again with the cute winky face packaging on the back. 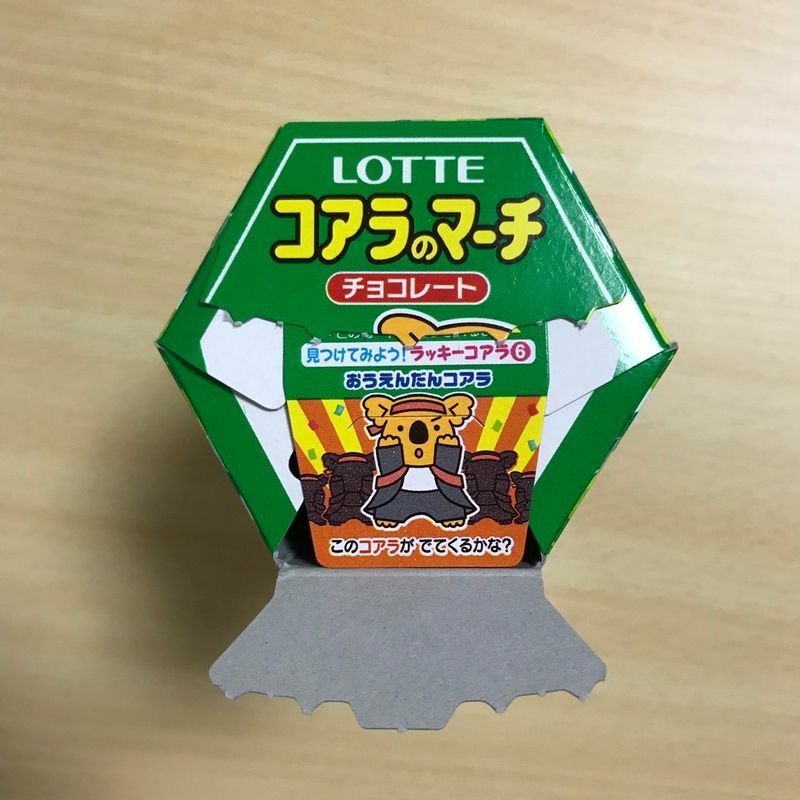 I don't know if it's just Japan that has these cute details in it's packaging because I sure don't remember them when I had it back home in the States. 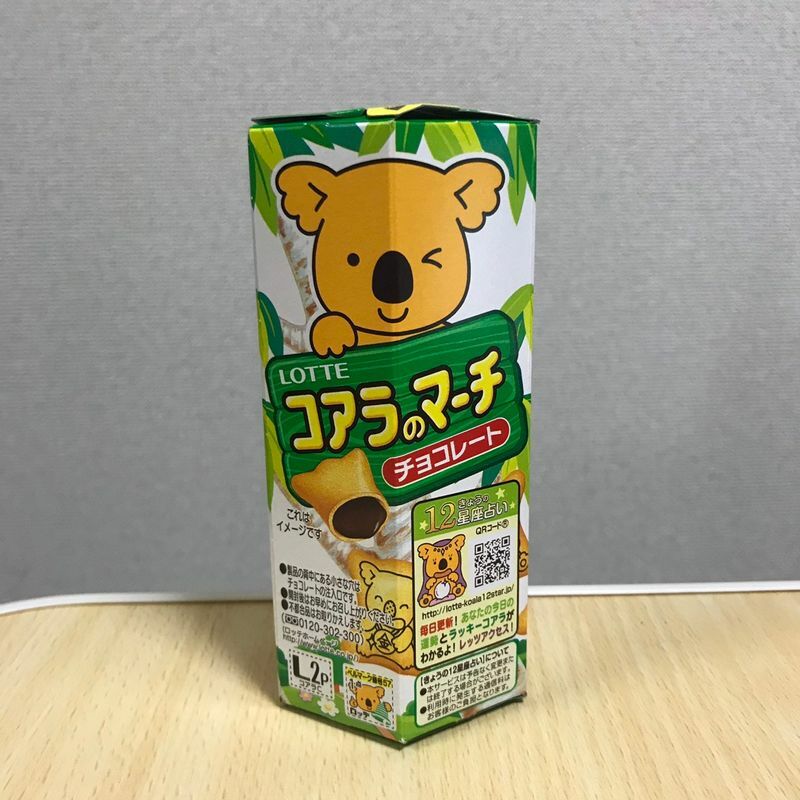 This time, there were several duplicate koala designs - not that it's a problem though haha. 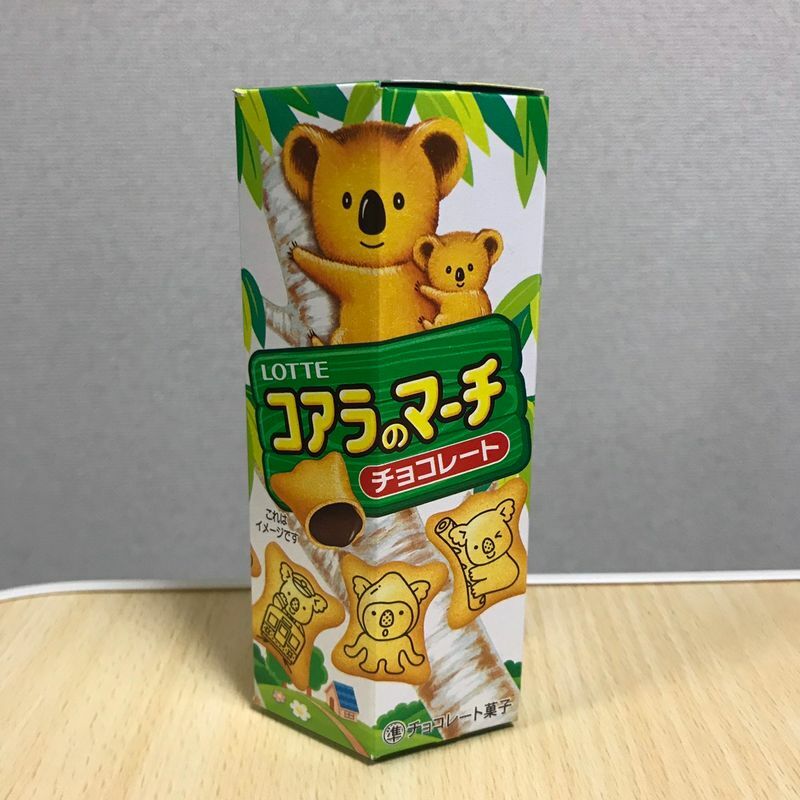 These designs however did look different from the Black Koala's March chocolates. I wonder if there is some kind of theme that each box has? I think that would definitely be more appealing to customers to want to try them all. This time though, as you can kind of see, the chocolate is still a little on the frozen side, however it was a lot more softer than the white chocolate I previously had. I'm starting to thing that I just may not enjoy white chocolate as much as milk/ dark chocolate. 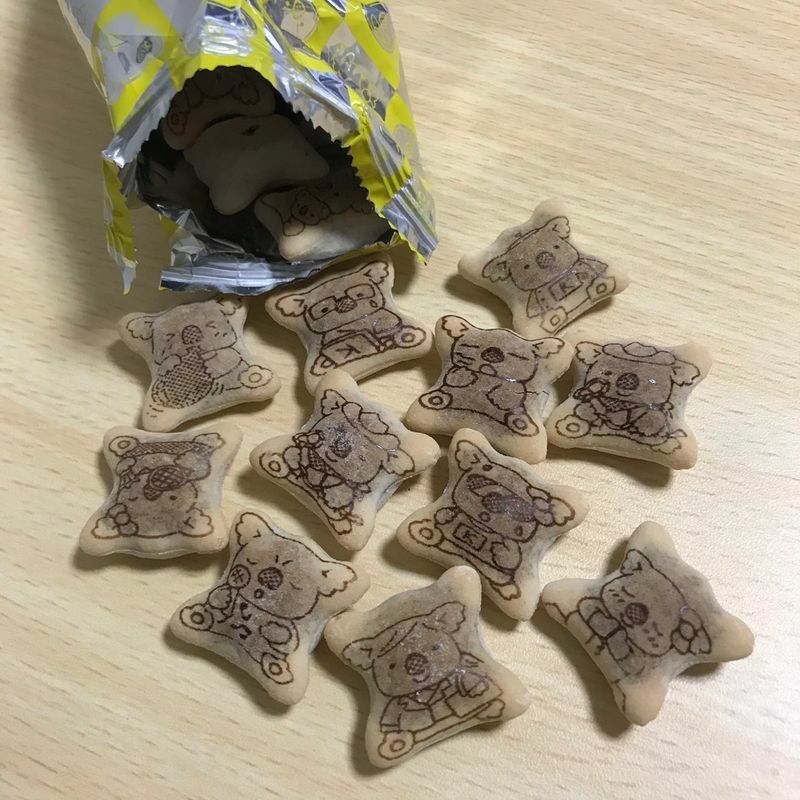 Regardless, I am satisfied with these again and my childhood memories of this snack has not been ruined. Hooray! For some things, always know that the original may just be your best choice.